Amy – I can’t say that I have any favorite TV shows since I don’t tend to watch much, but I do enjoy NCIS, Mysteries at the Museum, and Once Upon a Time. Otherwise, when I have the time, I usually choose to watch reruns of older shows like: The Honeymooners, I Love Lucy, Gilligan’s Island, and Bewitched as well as reruns of shows I grew up with like The A-Team, MacGyver, Full House, Quantum Leap, The Facts of Life, Family Ties, Knight Rider and various Saturday morning cartoons from the 80’s (I watched a lot more TV when I was young with no worries or responsibilities). Ashleigh – My favorite TV show is currently NCIS. The Big Bang Theory – Great cast of characters and funny story lines. I always have at least 5 episodes on the DVR. Downton Abbey - I’ll watch a whole season within a few weeks and then just put it aside. Good acting, interesting historical touches with not too much soap opera mixed in. Cheryl – I still love General Hospital and The Big Bang Theory. Chris – I really do not have a favorite TV show. There are lots of shows that I like/liked, but nothing that sticks out as my favorite “can't miss” show. Christy – My favorite shows are The Blacklist and Game of Thrones. Chuck – My current favorite TV shows are: Criminal Minds, NCIS, Family Guy, South Park, CSI: Cyber, Tosh.O, Modern Family, Bones, Inside Amy Schumer, Anthony Bourdain: Parts Unknown. I like crime-type shows because it’s kind of like solving a puzzle, which is kind of like how resolving some IT issues works—unraveling and systematically figuring out and resolving issues. Fun for the brain! And comedies, well…I like funny, edgy comedy! Dan – My favorite show of all time is The Wonder Years. My favorite current TV show is Jeopardy! Doug – My favorite show is South Park. Dylan – My favorite shows are Dragonball Z, Silicon Valley, Brooklyn Nine Nine, Parks and Recreation, My Hero Academia. Fred – I enjoy Reality TV shows, Housewives (like my Reality TV shows), and Humans (This sci-fi drama series is set in a parallel universe where technology is highly advanced and lifelike humanoids called Synths are the must-have machines for any household.). GROWING UP: Friday nights spent at home with Dad with my box of Good & Plenty candy watching—The Partridge Family, The Brady Bunch, Fantasy Island, Love Boat. NOW: My favorite TV shows are 9-1-1, This is Us, Modern Family and The Goldbergs. Jim – My favorite TV show is Quincy M.E. with Jack Klugman. Jo Ann – While I have many favorites, the first TV Show that comes to mind is I Love Lucy. No matter how many times I watch certain episodes, I never grow tired of Lucy and Ethel’s antics…good old light-hearted fun. Currently, though, I am a fan of Masterpiece Theatre. On the top of my list of favorites is Poldark. Downton Abbey comes in second to this! Joe – My favorite TV show is Survivor. I have been watching it for many years. John – My favorite TV Shows are: Lost (it says a lot through a pretty interpretive lens), Mad Men (the story telling is fantastic), and Full Metal Alchemist Brotherhood (again, the story telling is fantastic), The Office (just self-explanatory). Ken – I love to laugh, so my favorite TV shows are mostly comedies: Seinfeld and Everyone Loves Raymond come to mind as the most recent ones. Growing up it was Get Smart and Hogan’s Heroes…and then later, Mary Tyler Moore, Bob Newhart and, of course, M*A*S*H. I also loved the old Ed Sullivan Show where I was introduced to the Fab Four. Lastly, I was a big fan of the early years of Saturday Night Live…and The Tonight Show Starring Johnny Carson. These days, I have no favorites really. Kris – I don’t watch much TV, but I do like the Food Network. Laurie S. – I love the half-hour comedies. This way I can walk away if need be. Speechless, Young Sheldon, Moms, Fresh off the Boat. Laurie T. – My favorite TV shows are is Dr. Phil and Judge Judy. 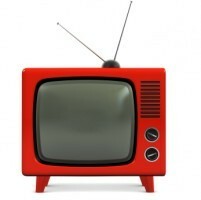 Marybeth – Like many of us, I could take you on a personal history of the TV I've watched… starting in childhood: I Love Lucy, Bewitched, Batman, The Brady Bunch and The Partridge Family. Through my teens: not much except Saturday Night Live then on into the Seinfeld and Friends years. Now I like a variety, from the big HBO shows like Game of Thrones and Boardwalk Empire, sprinkle in a little humor like John Oliver, some drama like The Good Wife and some family TV watching, usually in the form of good old fashioned reality like The Amazing Race. Matthew – I enjoy watching Motor Trend Auto Shows. Grey’s Anatomy - I never watched Grey’s Anatomy when it first came out. During my freshman year of college, a friend of mine had season 1 on DVD. I binged watched the entire season one weekend and from then I was hooked. It’s a drama filled show between the love stories and daily happenings at a hospital. I think it’s currently in its 12th season. It’s nowhere near as good as it used to be, but I will continue watching it until the series finale. The Walking Dead - The Walking Dead constantly keeps me at the edge of my seat. When major characters die, I get super emotional, as if I knew the person directly (and forget it’s just a TV show). American Horror Story - I love American Horror Story because of the different story lines each season. This show does live up to its name, and there are times where I have to close my eyes. I used to watch this show religiously every Wednesday at 10pm, but now with a baby and having to wake up at 6am, it has to wait until Thursday night. Mike – After some thought, I’d have to go with the Six Million Dollar Man. I really loved that show when I was a kid. I’m not even totally sure why. Maybe it was an early connection with technology, but I rarely missed an episode. Nina – I could watch reruns of Seinfeld, M*A*S*H, and Everybody Loves Raymond any time. My current favorite is The Big Bang Theory. Paula – I enjoy watching anything on Food Network. Sheila – I'm obsessed with home remodeling shows and travel shows. Tom – My favorite TV show was Firefly. Tommy – Brooklyn Nine-Nine is probably one of my favorite at the moment; although, I enjoy anything that is funny. Also, whatever Netflix has multiple seasons of! Tracy – I’m really looking forward to The X-Files returning for a few more episodes soon. I’ve had quite a few favorite TV shows over the years. Will – I don’t really watch TV. Sometimes I watch the traffic in the morning, but I don’t know if that counts.